Insidious is a great horror movie for people who are just starting to experience horror as a genre. With it’s relatively unknown cast and very low costing budget, Insidious has defied all odds and is now known as being one of the most chilling but emotional super-natural horror films of all time. Insidious originally aired at the Toronto International Film Festival back in 2010 at the ‘Midnight Madness’ event but was sold to Sony Pictures Worldwide within just four hours after the event concluded, for a seven figure sum. 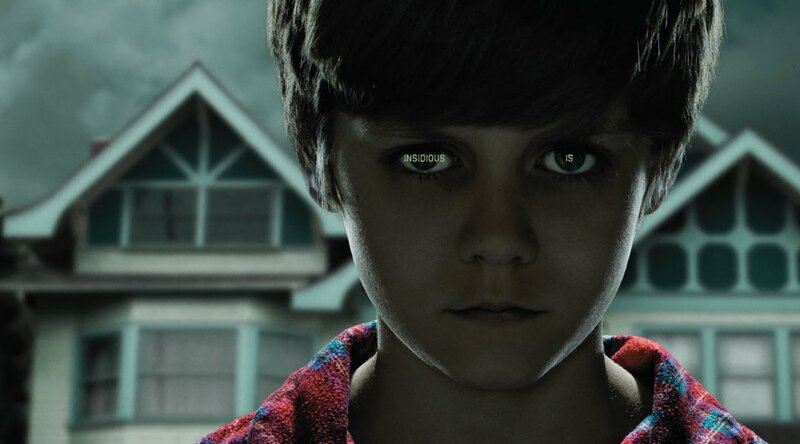 The film began its American theatrical release in April 2011 and achieved 3rd place at the box office, racking up a total of 13.5 million USD, no doubt due to its director, James Wan, who has also directed major hits like The Saw series, Dead Silence and more recently, The Conjuring. Although the entirety of the film is just made off just 1.5 million USD, Insidious uses its slightly undeveloped graphics to its advantage to create a genuinely eerie atmosphere and portray the movie as long forgotten and out of focus, parallel to its storyline, which is unfocused on normal life, and more attentive towards its mysterious other ‘The Further’, an alternative land that contains the dying souls of the dead, and coincidentally, contains a certain few that can venture to this world when asleep, as we learn in the film. I really enjoyed Wan’s addition to the basic storyline by not only having the son, Dalton, battle off his own demons in ‘The Further’, but also father, Josh, dragged in too by his overpowering will to save his son, which causes strain on the family relationship and shows how the family deal with this bizarre circumstance. Additionally, Josh also has a demon of his own known as ‘The Old Woman’ and, relating to his childhood, provides opportunity for director Wan to provide us with an excellent sequel, Insidious 2. However, in this movie, Dalton is the one being tormented, until father Josh and paranormal investigator Elise save him. In the dying scenes, Elise realises not all is as it seems and unmasks Josh as the ‘The Old Woman’, who has possessed his body, but he strangles Elise in a fit of rage, with a gruesome clip of Elise pale-white and dead in her chair. It’s these parts that I, and many other hard-hitting Insidious fans live for. It’s the unexpected scenes and abstract colours that capture the attention and that’s why Insidious has really grasped the concept of horror. Not only that, but the growing darkness as the film progresses dampens the air and leads the viewers dying to know how the story unravels. I would undoubtedly recommend this horror film as a must see for it’s atmosphere and creative graphics, and also for its unique plot that really captures the struggles and emotions running with the characters every twist and turn.